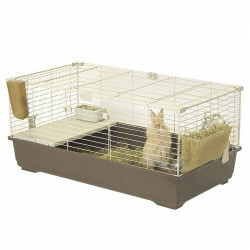 Rabbit hutches and chicken coops provide these animals - along with ferrets, guinea pigs and other medium-sized critters - to enjoy comfort and security in a roomy, safe and well-made home. Not only do hutches provide unmatched space for your pets to grow, explore and sleep, but they feature authentic, natural, rustic looks that inspire confidence and promote your animal's well-being. 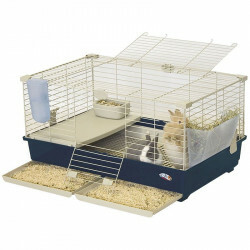 Super Pet Rabbit Hutches are available in both 1 and 2-story models, and offer the ideal living space for outdoor rabbits. 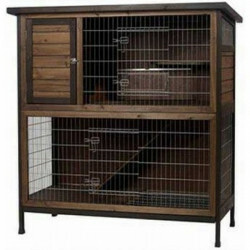 All hutches feature a nesting box hideout, multiple doors for easy access, hay manger, pullout tray, and secure locks. They are made with the highest quality weather and rain resistant materials and are easy to assemble. 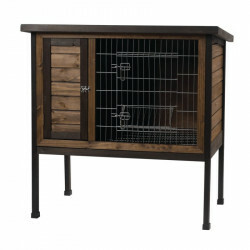 The Precision Pet Chicken Coop features attractive Cape Cod-style decor and is the perfect solution for the urban farmer. Chickens will love this cozy home, and it's perfectly sized for every backyard.